Maintain a workable emergency management plan. Encourage and facilitate interagency cooperation and coordination. Maintain and staff an effective emergency operations center. Disseminate warning information to first responders, the public, governmental agencies, and local businesses. 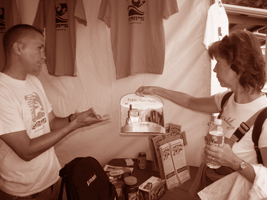 Actively promote school, government, and citizen disaster preparedness and self-sufficiency through public education programs. If needed, respond to emergency and/or disaster incidents to assist first response agencies with incident coordination, provide auxiliary communications, obtain outside resources, and transition from response to recovery activities. 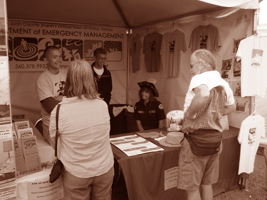 The San Juan County Department of Emergency Management operates under the direction of the San Juan County Emergency Management Council, comprised of the Administrators of both the Town of Friday Harbor and San Juan County. 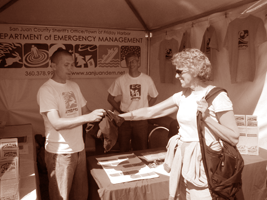 During emergency or disaster events, the San Juan County Department of Emergency Management is responsible for activating and staffing the County Emergency Operations Center to assist in coordinating response activities, allocating resources, and facilitate recovery efforts. Voluntary Organizations: develop a community focused and coordinated approach amongst loval nongovernmental organizations to ensure an effective disaster response.